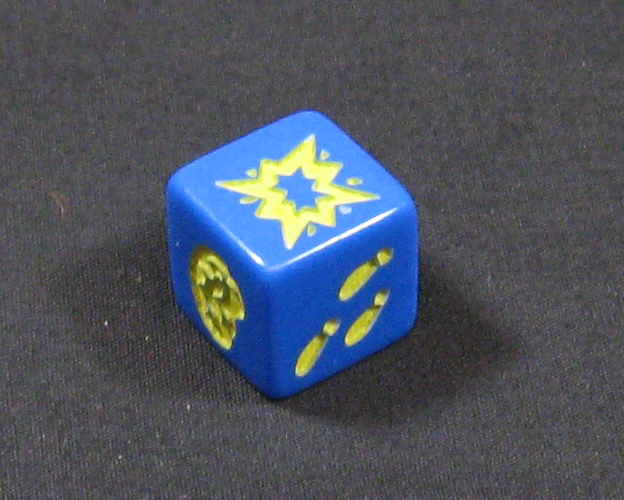 Early in the development of Munchkin Quest, we recognized that the components were going to have a significant impact on the "feel" of the game. And while playtesting rules is part of our standard operating procedure, mockups were a rarity -- and usually they were limited to just the box, as part of a trade show display. Then Richard came to the rescue! More specifically, the rescue was Richard wielding our laser cutting tool. Over the years, that laser has been used to create prototype components for Munchkin Quest, Nanuk, Revolution!, Munchkin Kill-O-Meter (shipping this week! ), and a couple other games we haven't even announced yet. The picture to the left, for instance, features prototypes from an expansion we haven't announced yet, a new game we're still playtesting, and a game we just announced (Zombie Dice). Dice? Yep! 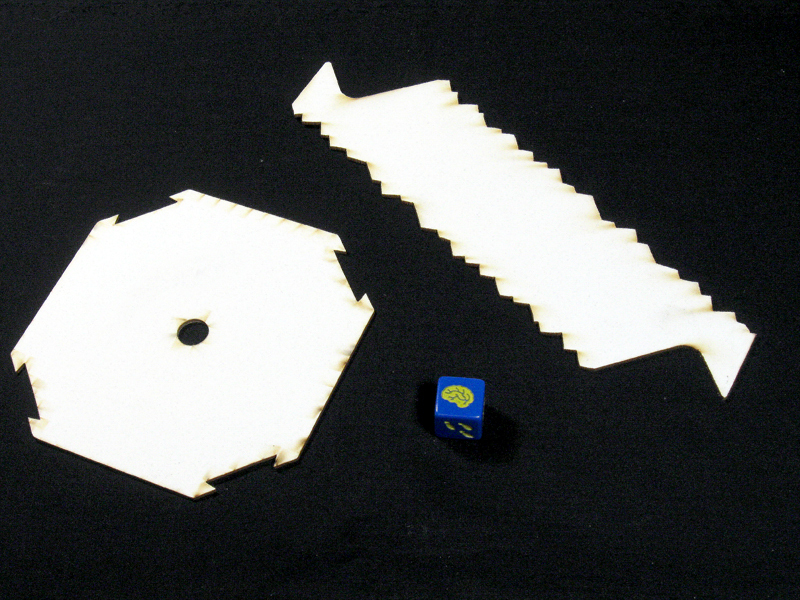 Turns out the laser was strong enough to etch the plastic surface of the blank dice. The engraving is subtle in this photo, as it's only a millimeter or so deep, but when it's held in the hand, the effect is dramatic. So much better than stickers!